Ah, Franco Nero, you really f**ked me up! I was fourteen and impressionable when Camelot came out in 1967. Saw it on the big screen and swooned as Guinevere fell in love with Lancelot, her Knight in Shining Armor while King Arthur wept at the betrayal of his best friend and his lady love. In truth, I fell in love with the whole notion of romantic love and its tragic impossibility. It took me years to sweep away the make-believe notion that men were supposed to be our knights in shining armor, to learn that love lasts longest when they are our partners in this crazy little thing called love and life. 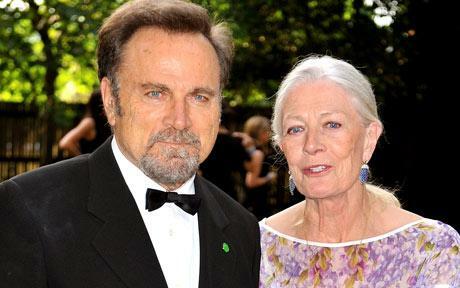 And in their own real life, it took years and a lifetime of loving each other behind the scenes for the actors Franco Nero (Lancelot) and Vanessa Redgrave (Guinevere) to get back together and marry in 2006. Actor Richard Harris, beautiful as the betrayed King, died in 2002. Watch him sing How To Handle A Woman from Camelot. And yes, like Guinevere, I loved him too. Camelot—based on the book The Once and Future King by T. H. White which is based upon the stories and legends collected by Sir Thomas Malory and published as Le Morte d'Arthur in 1485—is available to stream for a few dollars on Amazon, Vudu, YouTube, iTunes, and GooglePlay. Here, two of the scenes that swept my girlish heart away.